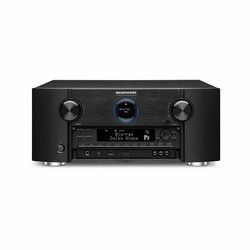 Marantz SR8012 vs Marantz SR7012 is the battle of prices. So my comparison can help because the difference in price is near $700 and you should know why. Marantz SR8012 has more output power of 1200W if to compare it with SR7012’s 950W. SR8012 is the 11.2-channel device by default. SR7012 has the entirely reconstructed sound with the use of improved details and functions but it can boast only 9.2 channels, although with the opportunity of processing 11.2 channels. 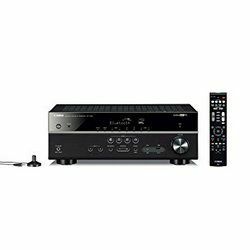 In the comparison chart, Marantz SR7012 vs SR8012 let’s start with the earlier model 7012. It gives the clearer sound in the connection with the low-wattage speakers due to the higher impedance. 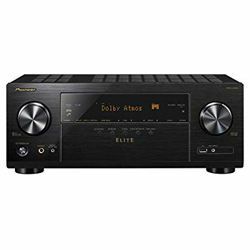 Though Marantz SR7012’s each channel supplies on just 125W of pure output power versus SR8012’s 140W, it hardly could be a great flaw for the home use. Such power makes it possible to control a total 5.1.4-channel configuration of the home cinema without the additional external amplifiers too. 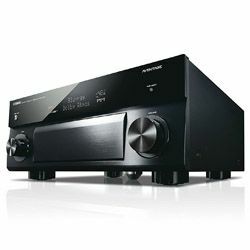 Marantz SR8012 has more AV inputs that make it possible connect more video devices simultaneously. Besides, it has A-B speaker switch to connect both the primary speakers and the secondary set of hookups. On the other hand, SR7012 is easier to set up because it comes with the full set of colorful speaker cables and the schemes in the user manual for keeping all the connections organized. Confronting Marantz SR8012 vs SR7012’, Marantz SR8012’s look is more stylish in its gold-tint silver version (7012 has no luxury design). All the buttons, portholes, and inputs are in their usual places. However, the back panel is a little bit of eye-watering because all the inputs and outputs are too close to each other. 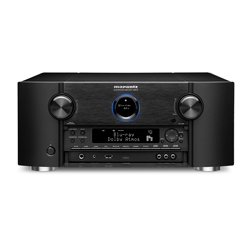 Marantz SR7012 is usable as well, but it is more compact and lighter. A copper plated chassis install confidence of its quality. The using of Toroid provides a substantial power supply. The LED display is still too tiny that makes it less comprehensive. 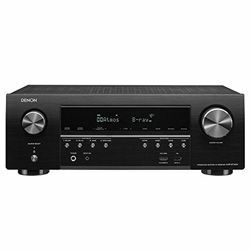 No AM/FM tuner for catching the radio stations and listening to their music without any distortion. The eco-mode helps save energy without sacrificing the quality of sound production. The HDAM provides the most rapid response to the maximum dynamic range. No chance to get access to your music through HEOS if you are the Amazon Prime subscriber. Not perfect voice control – the commands sound unnatural, so you are to learn them before practice.